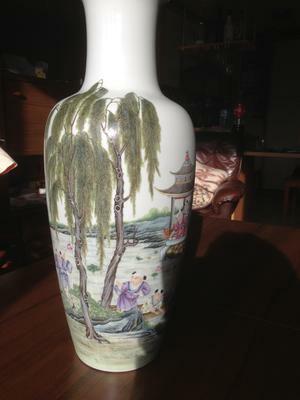 Please see another China's vase from my collection. Please let me know what do you think about it? What age? Real or fake? Thank you. 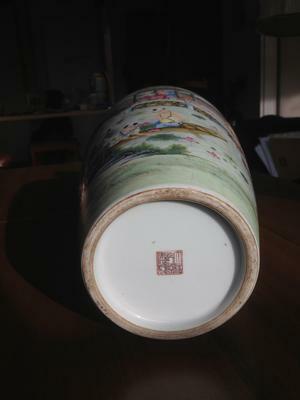 Comments for The most beautiful China vase I have. What do you think about this? 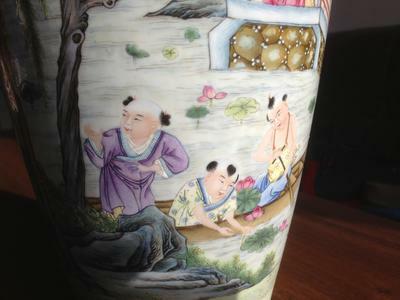 The painting style could be about second quarter of 20th century, but the bottom looks as if it was a bit later to me. Excellen quality. 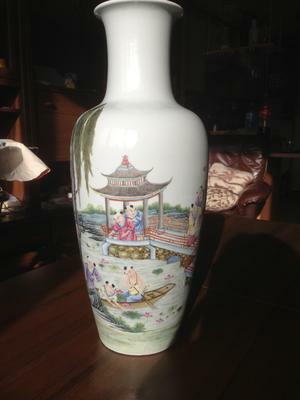 This looks like early republic, if it is, it is worth a lot of money, nice vase. If it is enuough please let me know your opinion. Without closeup pictures (can be partial), showing some details clearly, it may be impossible to know what you have. You could upload pictures also to an image site like Photobucket, etc. and post the links here. This way it is possible to upload larger images. This forum has image size restrictions.